The Envelop material was developed through the Small Business Innovation Research (SBIR) program with the goal of developing a material to replace vinyl then in use on US Navy ships. 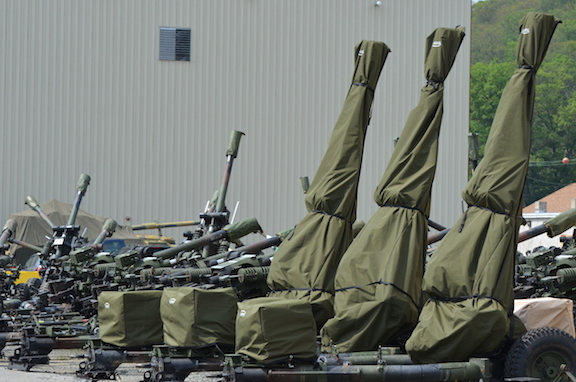 With more than 1,100 cover designs available for items such as topside weapon systems, shipboard assets, towed and self-propelled artillery, ground combat vehicles, and both rotary and fixed-wing aircraft, Envelop Protective Covers are the proven cover of choice for the Department of Defense since 2003. Envelop is available in the traditional Envelop Protective Covers, Envelop Magnum and Envelop Aviation series. The multiple layers of material can include a weatherproof exterior shell, a breathable waterproof membrane, a Vapor phase Corrosion Inhibitor (VCI), and wicking layers. Impact resistant, insulating, and water absorbent materials can be added to the fabric as required. This patented material is provided exclusively by Shield Technologies Corporation. In testing by various organizations in several countries Envelop has been proven to reduce the effects of corrosion and environmental damage to equipment by up to 95%. It has been proven to provide UV protection, maintain equipment within 11% of the ambient temperature reduces sand and grit intrusion by up to 95% and provides superior impact protection. Envelop has provided Return on Investments (ROI) of up to 40:1, reduced the Total Ownership Costs (TOC) and shown to have short pay-back periods. 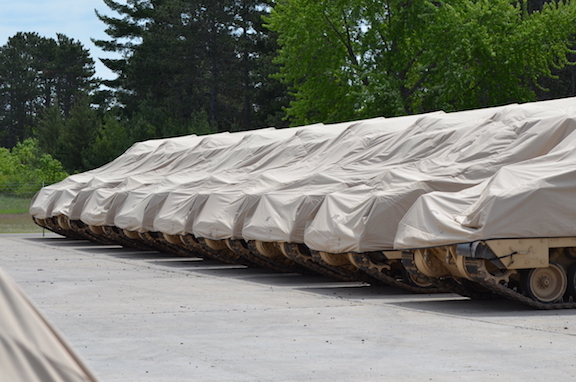 Improved operational readiness and freed-up man-hours have been recorded across all services by the use of Envelop Protective Covers.